There’s three certainties in life: death, taxes and a new FIFA every year. It’s fair to say that FIFA 17 was a largely disappointing entry in the franchise, introducing a new game engine that wasn’t as polished as previous years, and innovations such as the story driven ‘The Journey’ mode feeling superficial at best. Despite this, as a fan of the series, it’s hard not to get wrangled into the hype for FIFA 18, and now that it’s out, it’s time to discover if this entry cuts the mustard. 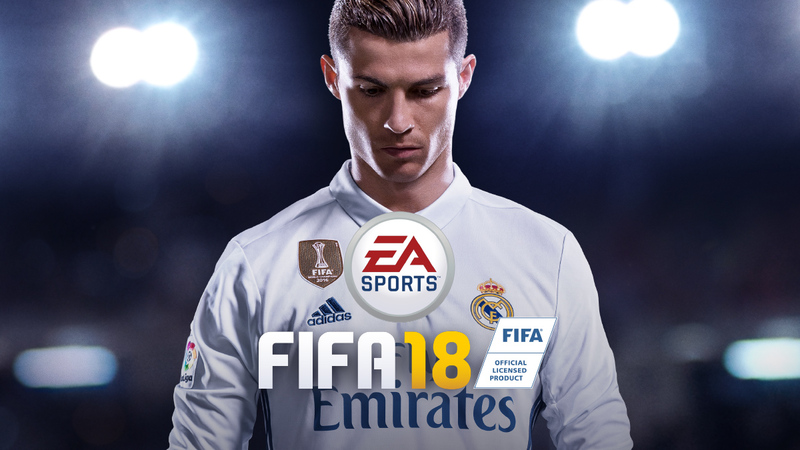 Will FIFA 18 play with the grace of an in form Ronaldo, or huff and puff like Carlton Cole after a buffet? Lace up your boots and let’s find out. After playing a handful of games with some of the most popular teams, I’m happy to report that players feel more unique and realistic than ever before. For far too long, there’s been a ‘cookie cutter’ appeal to the players in FIFA, where they all seem to play in a similar way, regardless of whether they’re an international icon or a League Two reserve who picks up a couple of shifts at Sainsbury’s every now and then. However, this year there seems to have been a conscious effort to diversify the style of play, depending on what team you’re playing as: if you play with Burnley, your players will want to park the bus, if you play with West Ham, your strikers will struggle to score and if you play with Arsenal, they’ll always try to walk it in. What’s more, ‘The Journey’ mode that felt so shallow last year is fleshed out on this occasion, taking me roughly 15 hours to complete. Although some of the decisions you make playing as the fictional Alex Hunter felt a little inconsequential in the narrative of the game, the experience is still enjoyable and you do become emotionally invested. It’s telling that many high profile games today have a shorter playtime than ‘The Journey’ mode; indeed for a ‘mini-game’, it certainly gives you plenty of bang for your buck. While the gameplay in FIFA 18 is much more balanced than in last year’s entry, there’s still a noticeable overemphasis on attack at the detriment of defensive play. This often leads to spectacularly high score lines (my first game against another player finished 6-4), which is a shame if you’re after a realistic, tactical sports simulation. Finally, although Pro Evolution Soccer (PES) has been the whipping boy of football games for a number of years, it’s hard to argue that this year’s iteration doesn’t offer a more fluid, enjoyable playing experience than EA’s football juggernaut. Yet technical prowess aside, without licensed teams (East London, Hampshire Red… come on), PES will always play second fiddle to FIFA. But if this were to change, I’d wager a sizeable chunk of FIFA players would jump ship to the S.S. Konami. To those who aren’t ardent fans of football and football video games, it can be hard to tell what really changes from FIFA to FIFA, and this year’s entry won’t buck that trend; it’s definitely another case of evolution rather than revolution. But the slight tweaks to the game have all been to it’s benefit, the result being the most enjoyable entry into the franchise since the heady heights of FIFA 13.